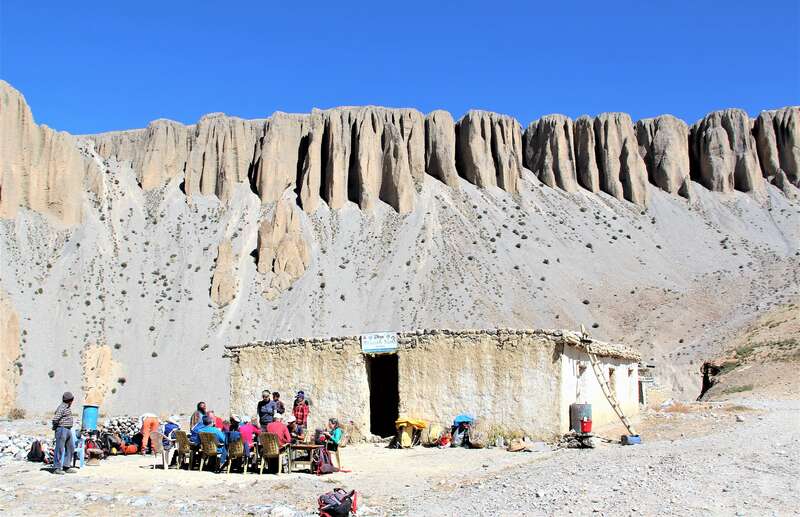 The Upper Mustang trek brings you into the hidden world of the old Buddhist kingdom of Mustang, also called Lo Lo used to be part of the Tibetan empire and is therefore closely tied to Tibet in culture, language and geography. 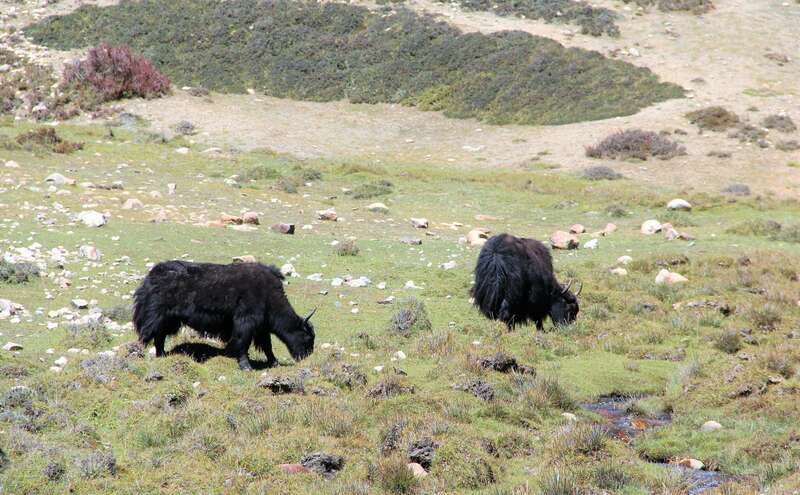 The regions isolated from the outside world has contributed to a highly preserved Tibetan culture and unspoiled nature. The trail follows the ancient salt caravan route through which the people of Mustang traded Tibetan salt for grain from the lowlands. Despite the apparent squalor of Lo Manthang, the city is prosperous and maintains a strong sense of community. Although the people called them Lobas (people from Lo) they are very much Tibetan and have a sophisticated culture and economy. Before trade with Tibet was disrupted, all the salt and wool trade on the Kali Gandaki passed through Lo Manthang, and this brought a sizeable amount of money to the city. Wealth is now primarily measured in land, horses and social standing. The doors of most houses open onto a two-storey open central courtyard. The ground floor is used for storage of food, horse trappings, a pile of dung for fuel, and farm implements. A wooden staircase leads to the first storey, which typically has a balcony overlooking the courtyard and doors leading off to living rooms and the kitchen. Entering Lo Manthang through the town gate is like stepping into a different world. A world of narrow alley ways, hidden chortens, long walls of beautiful prayer wheels and herds of farming animals sauntering in from the fields in the afternoon to adjourn to their sheds inside the city. Points of interest in Lo Manthang are the royal palace, a few beautiful monasteries like the Thubchen Gompa built in the 15th century, the Jampa(Champa) Lhakhang means ‘house of the Gods’ which was built in 1447-48 AD Or visit the Amchi museum and Amchi school. An Amchi is a traditional Tibetan doctor. There are 2 Amchis living in Lo Manthang, which are also the official doctors of the king. They founded a school to preserve this ancient wisdom. For an excursion outside the city you can hire Tibetan ponies for a ride to Chosar Cave where you can visit a small monastery and a century old cave dwelling situated high in the rocks. Upper Mustang trek starts from Pokhara according to the availability either we will take the flight from Pokhara to Jomsom of 4-wheeler private jeep trip to Jomsom which is a very scenic trip on Pokhara Baglung Highway with Annapurna & Dhaulagiri Himalayan ranges encountering on the North side and passing many rural villages at Hilly road. After Jomsom, we will do around 3 hrs trek to Kagbeni which is also the Gateway to Upper Mustang restricted area. Early morning, we will do some formalities for permit check up to enter a restricted place of Upper Mustang at Kagbeni and trail continues upwards towards Kaligandaki Valley which is also the route where Lo people brings back their horses to Kagbeni. After some hours of a trek from Kagbeni, we will reach Tangbe (3060 m) village where you will find a village with narrow alleys with whitewashed houses, fields of buckwheat, barleys wheat and apple orchards. After an hour beyond Tangbe, we will reach another beautiful village called Chhuksang and mostly we find the Gurung ethnic people closely related to Manangis than to thalis or Lobas. After some hours of walk from we will reach Chele village after passing Kaligandaki valley. From Chele upwards we will see more Tibetan culture of Lo rather than Manangis culture. The rest part of the trip is desert country trek within immerse side valleys of Kaligandaki valley. After some hours of Trek trail enters large side valleys of Samar Village which is surrounded by poplar trees. Samar village is the main place to stopover for Horse caravans and you can see many horse stables as well. We will climb to the ridge and reach to Syanboche village. This day we will pass through Geling village full of poplar trees and lots of barley fields. The trail will continue broad valley Nyi La which is at 4020 m. Ghemi is the third largest village in Lo and surrounded by fields and has traditional building Royal mustang where the king of Lo used to live. Another attraction for this day is a spectacular Mani wall with blue, grey, and red cliffs across the valley. Our final destination is Dhakmar Village. Today we will visit the second largest settlement of Lo kingdom called Charang (Tsarang) also the former capital of the kingdom of Lo. Charang is full covered with maize fields, willow trees and house separated by stone walls and very old historic building (former palace) which was built on 1378 now it serves as a good Library in Mustang. From Lo La we can see the walled city of Lo Manthang. 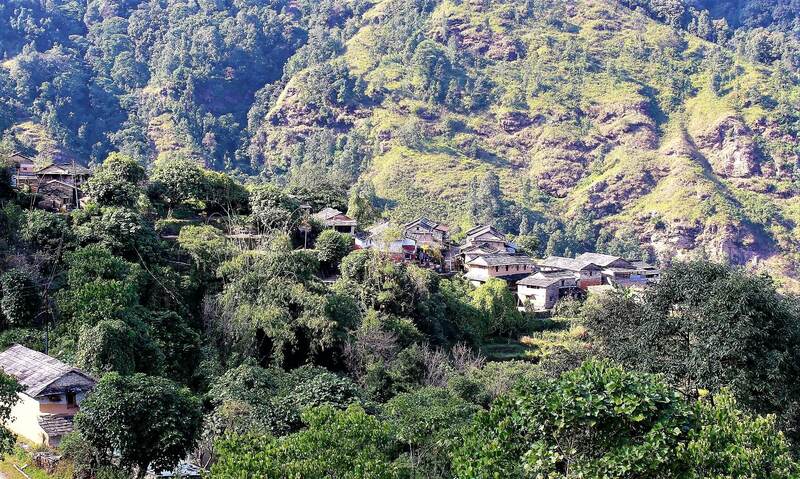 We will also visit Ghar Gumba which reflects the true culture of Buddhism. Lo- Manthang is also called the last forbidden kingdom of Nepal which is very rich in Tibetan culture. People called themselves as Lobas (People from Lo). This is the main gateway to trade salt and other essential stuff to other parts of Nepal with Tibet and trade passes through Kali Gandaki valley. 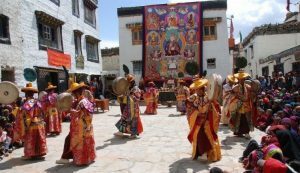 We will visit various heritage sites around Lo Manthang and feel the strong sense of Lo Manthang which is following unique Tibetan culture back to many centuries. Today, descend down from Lo Manthang to Yara. 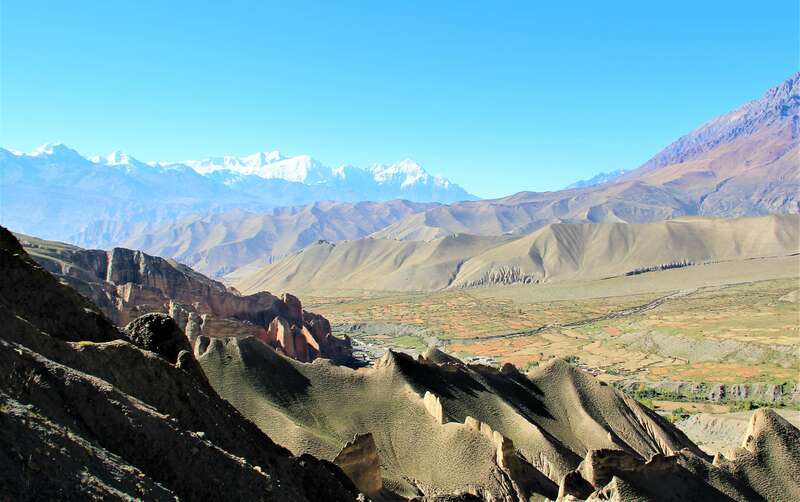 This is an alternative route to see Kaligandaki Valley and you can enjoy other parts of Upper Mustang following this trail. After, 7 hrs of the continuous hike we will reach Yara Village for overnight. This morning we will head to Explore for the Luri Gumba which is one of the best attractions and to learn more of Buddhism. The both Tashi khulum cave and Luri Gumba believed to be a 15th century old with various Tibetan religious connection back from century. Return back to Yara via Ghara another beautiful village on the way. Early morning starts after the breakfast we will cross the Kaligandaki river several times on our Trail. This trail will lead where we can find saligrams & be mined for the selling. 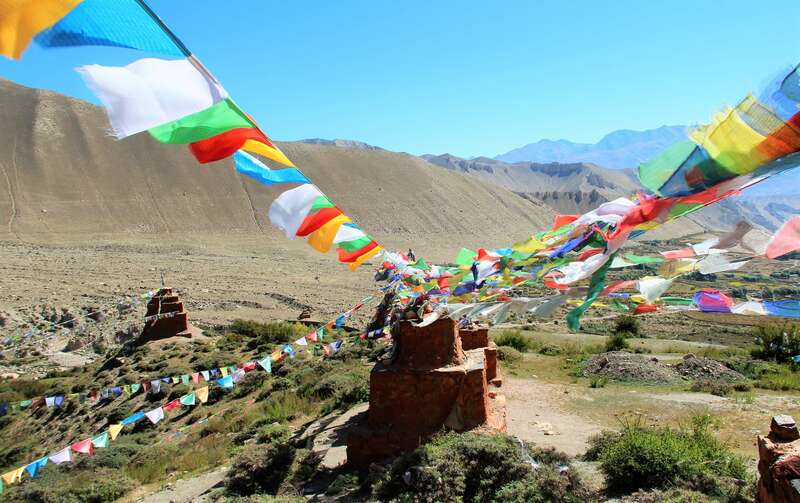 Tangge is an incredibly stunning village, with monumental ochre and white Chortens, long Mani walls and traditional architecture, surrounded be terraced barley fields, a village of many sheep, goats and large mastiffs and the largest Chorten in Mustang over 50 feet high. This is one of the long day treks during our Upper Mustang Trek. During the trip, you can have a superb view of Nilgiri Himal, Dhaulagiri I, Tukuche Peak, and other snow peaks and finally overnight at Chhuksang village. 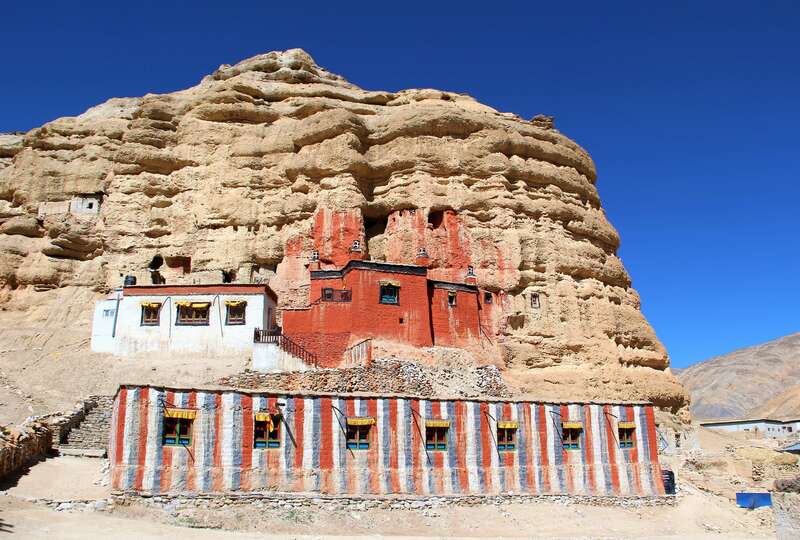 Today is our last day within the Upper Mustang restricted area. We will follow the downstream Kaligandaki river trail to Muktinath which is one of the holy places for Hindu peoples and religion follower. After visiting Muktinath temple headed for overnight at Muktinath Hotel. 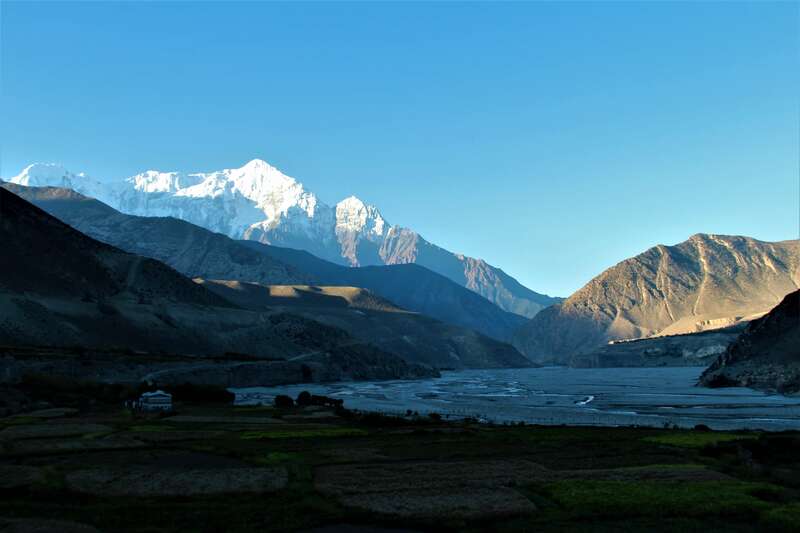 Today we will start early morning trek towards Jomsom which is also a meeting point for the Annapurna Circuit region. After 5-6 hrs of downhill Trek we will reach Jomsom. After breakfast, we will head to Jomsom Airport and took the Scenic flight to Pokhara or we will come back by private jeep back to Pokhara. Fully Escorted trek with English Speaking Professional and Friendly Local Guide (who have experience of 20 years doing Upper Mustang Trek).